Quarter Barrel, a vintage arcade-themed microbrewery, is aiming for a spring 2015 opening. Customers will have to decide whether a game of Donkey Kong goes down best with ale, porter, stout or other handcrafted brews. Entertainment will revolve more than 30 video arcade games from the 1970s to the late 1980s, such as Mr. Do’s Wild Ride, Donkey Kong and Galaga. The period was the “golden age” of video arcades, according to co-owner Chris Ellis, and a generation of Gen-Xers and baby boomers still remember them fondly. The trio set its sights on downtown Cedar Rapids, and purchased 616 Second Ave. SE earlier this year. It is a century-old storefront building that had been built to house an electric automobile charging station and battery store in the days when most automobiles in Cedar Rapids were electric. 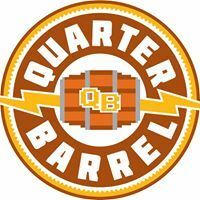 Mr. Ellis said Quarter Barrel plans to be a small, 7 to 10-barrel brewing operation that initially, at least, would brew beer for on-premises consumption. But Mr. Ellis hopes to break free of what he considers a limiting formula for beer menus in most brewpubs that leans heavily on popular standards. A hops-heavy pilsner, for example, could be offered as a substitute for an IPA. A Baltic porter might be featured instead of a stout beer. They are also planning a crowdfunding campaign that will involve some specialty beers for subscribers. This place sounds awesome. I hope they do well and that we get to enjoy a drink and some pacman at this establishment.